Whatever happened to Google Glass? 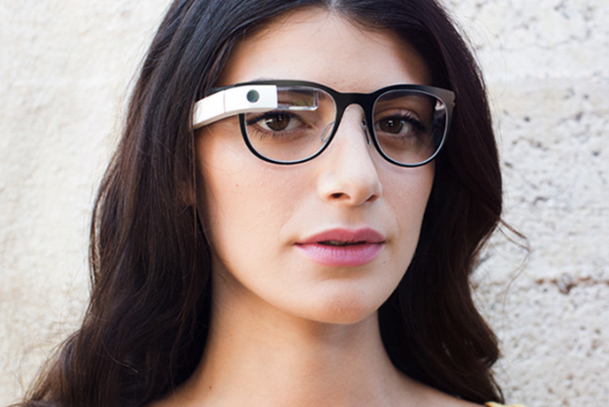 I’m not too proud to admit that when I saw Google Glass for the first time, I was enamored. I thought it was a game changer. Google seemed to have an advantage over Apple, which is rumored to be building a smartwatch. But let’s just face the facts. A smartwatch is nowhere near as interesting as something like Google Glass, and probably a reason why Apple has seemingly lost its magic touch. A smartwatch is essentially a device that keeps you from reaching into your pocket to grab your phone–in my opinion, a huge waste of $300. One of Google’s new frames. My optimism toward Glass soon became skepticism when I saw Engadget’s review of the product. With a camera and no indication of when it’s recording, Glass could elevate its wearers to “creeper status.” Also, the three-hour battery life is clearly a shortcoming. A steep $1,500 price tag is a huge turn off, and I haven’t the qualifications, nor status, to be in Google’s Explorer Program–those who get to test the device. Another issue for anyone who wants to wear Glass is that it sits on your face in a way that eliminates the possibility of wearing glasses. I don’t wear contact lenses, so if I could afford it, I would have two optical devices awkwardly resting on my face. I suppose Google was serious about correcting the problem because the recent updates to the hardware include optical lenses for individuals with prescriptions. I once wrote that wearable technology could provide a new landscape for marketers and application developers. What I didn’t anticipate were the problems that became obvious with Glass. A woman was ticketed for driving while wearing it (but later the ticket was dismissed). A man was interrogated by the FBI for wearing it in a movie theater. And again, unless you are someone with connections to Google or are well-known, you aren’t getting your hands on it any time soon. In my opinion, the biggest issue is that Glass is ahead of its time. We are ready for smartwatches; Samsung, Pebble, and Kreyos have entered the wearable tech market. We just aren’t ready for “cyborg glasses.” Maybe that’s why Apple has strayed away from it, thus far. Perhaps, by its third generation (and with a huge price drop), Glass will be available for everyone. For more from Innovative PR, be sure to follow @UCMInnovativePR, “like” us on Facebook and Pin with us. 2014 Sochi Olympics: A crisis in the making.